Yvonne Seale on a bizarre and fanciful piece of genealogical scholarship and what it tells us about identity in late 19th-century America. 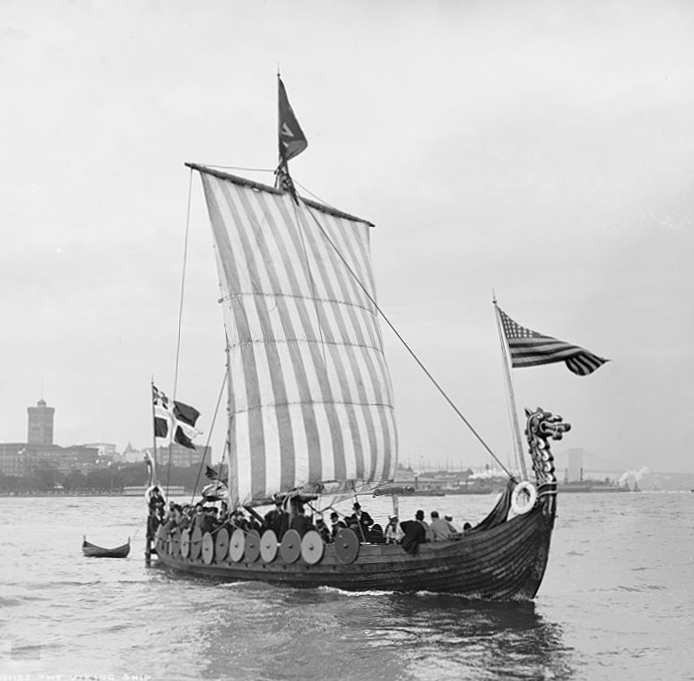 Replica of the Gokstad Viking ship complete with the Stars and Stripes proudly flying, featured at the World’s Columbian Exposition at Chicago in 1893 — Source. 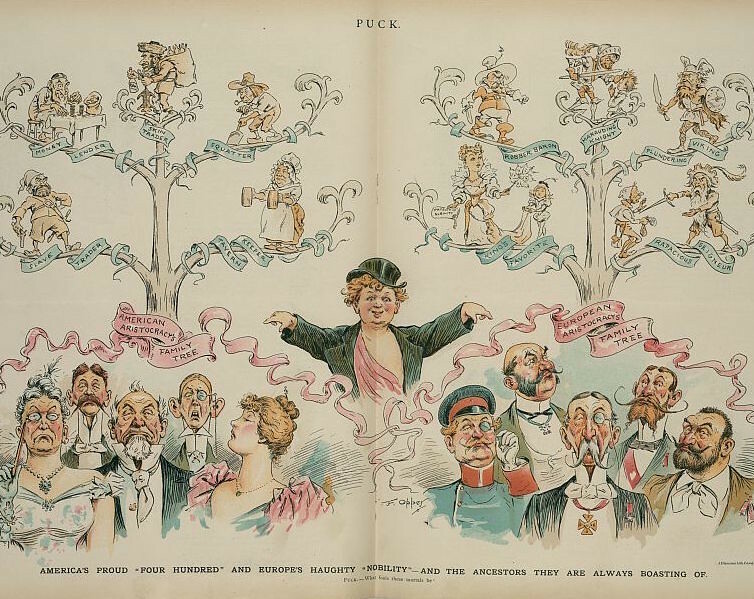 Puck cartoon from 1893 satirising the boastful claims made by the upper classes of America (left) and the nobility of Europe (right) as to from whom they were descended. 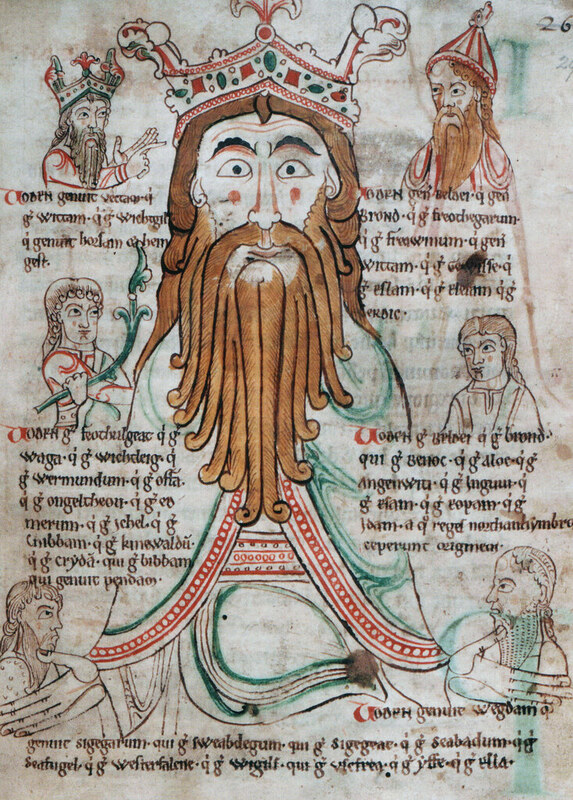 Top right shows a “Viking” amongst the boasts of Europeans — Source. 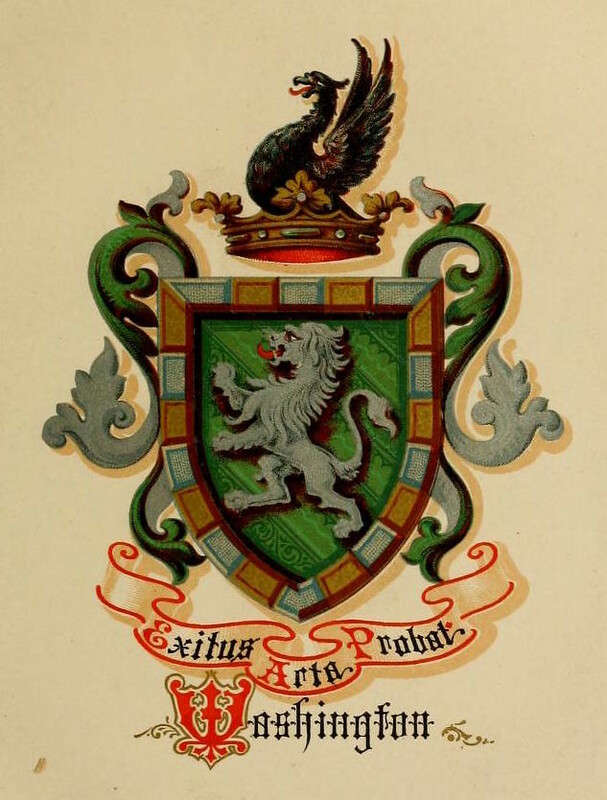 The Washington coat of arms, as featured in Welles’ The Pedigree and History of the Washington Family Derived from Odin (1879) — Source. 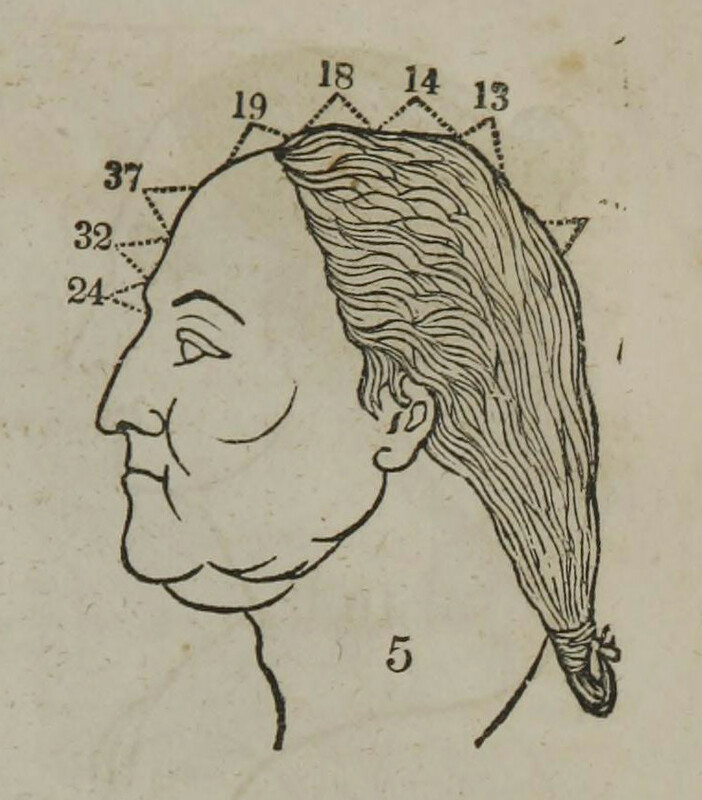 Phrenology diagram indicating the strength inherent in the shape of George Washington’s head, featured in Fowler’s The Practical Phrenologist (1846). Note the accidental crown suggested by the labelling lines — Source. 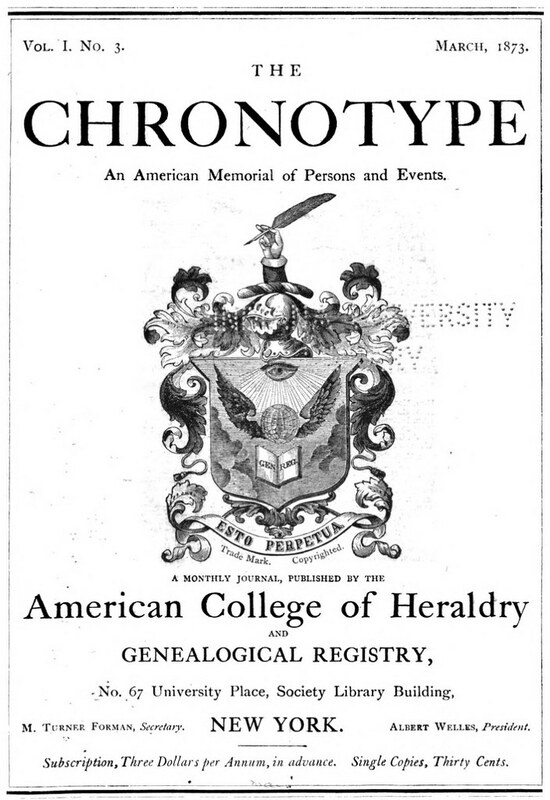 Title page to an 1873 issue of The Chronotype. The motto reads “Esto perpetua” (Let it be perpetual) — Source. The Pedigree and History of the Washington Family Derived from Odin, the Founder of Scandinavia. B.C. 70, Involving a Period of Eighteen Centuries, and Including Fifty-Five Generations, Down to General George Washington, First President of the United States (1879), by Albert Welles. History of the Welles family in England and Normandy, with the derivation from their progenitors of some of the descendants in the United States (1876), by Albert Welles. Address of Albert Welles, president, to the Council of Regents of the American College for Genealogical Registry and Heraldry, at the Society Library, New York (1879), by Albert Welles. The Chronotype, Vol.1, No.3, 1873. On a different instance of dodgy genealogy claiming ancestry to George Washington, “A Beautiful, False 19th-Century Pedigree for George Washington” by Rebecca Onion for Slate. Drawing on a wealth of primary sources — sermons, diaries, letters — as well as novels, poems, and essays, this book explores the origins of turn-of-the-century American antimodernism. The antimodern impulse, more pervasive than historians have supposed, was not “simple escapism,” but revealed some enduring and recurring tensions in American culture. The first book-length treatment of the Victorians’ fascination with the old north. It explores the ways in which the terms ‘Viking’ and ‘Viking Age’, both unknown in 1800, were invented, explored and popularised during the nineteenth century.